I'm a woman of my word. 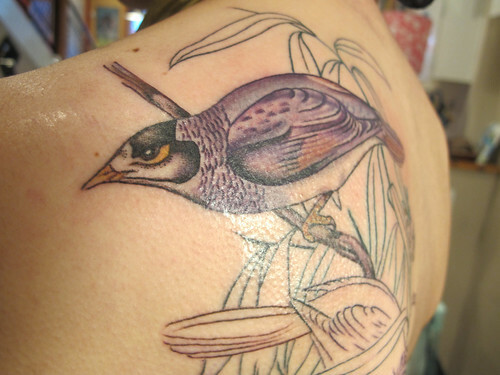 I took that noisy miner picture to No Ka Oi, and I got myself a tattoo. 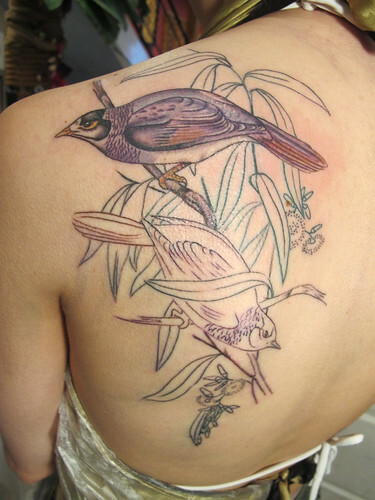 Well, two hours of tattoo. The rest of it will be completed when we return from our 5-week roadtrip around America, which begins tomorrow! If you want to hear about our adventures, I suggest you bookmark www.roadtrop.com or subscribe to our updates. Aside: I am now officially All But Dissertation. Mind boggling.